I’m near sighted, which is great for writing golf blogs and programming code, but it is not good for golf. Without prescription glasses I can’t track the ball or see where it finished beyond around 150 yards. Lately I hit it so sideways I need prescription shades, and prescription antidepressants to make it through a golf round. Fortunately in the sunglasses department I’ve been sporting some new unbreakable prescription sunglasses from Reks Optics. Reks frames are the bend but not break kind, which is great. Drop them. Sit on them. Bend them. No issues. Reks is so confident in their product, they offer a 24 month replacement guarantee. Reks offers two lines of frames: Leisure and Active. The leisure line has styles which are similar to the Ray Bans Wayfarer as well as an aviator style. 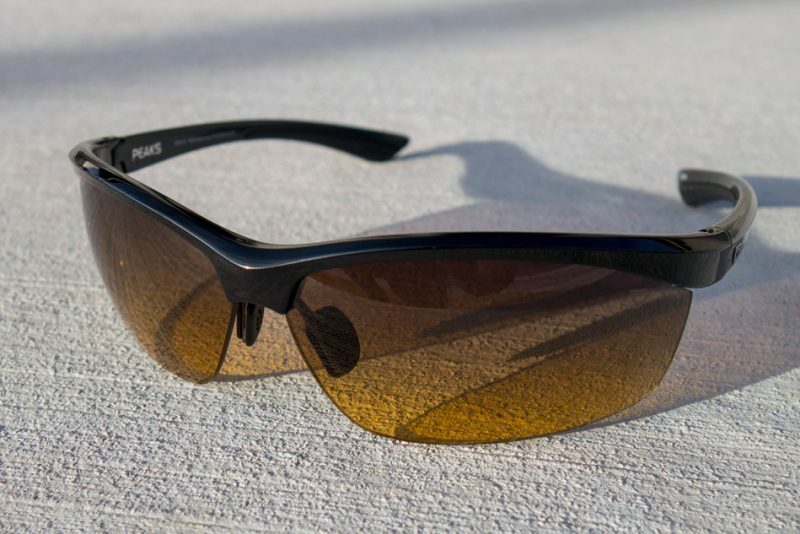 The sport line has “wrap around” type sports sunglasses, similar to one might find from Oakley sunglasses. Reks lenses come in Chromalux, Lumolux, and Solux models. All Reks lenses are treated to resist dirt and are scratch resistant. Optical grade polycarbonate material in the lenses provides high quality an superior durability. Since I have two pair of “sports” style prescription sunglasses, I decided to have some fun and go with the Leisure line for my Reks shades. I love the Wayfarer Ray Ban design, so I went with the Reks “Seafarer.” Ordering was easy. I picked out the frame style and the lens style. I went the the Reks HD Trivex polarized lenses with anti-reflective coating. Loved the look of the mirror-red. During the order I attached my RX. Within two weeks my awesome shades arrived. Today I started off around 8:30am at a local golf tournament. The sun was shining and the temps around 90 degrees by the afternoon. My Reks kept the glare down while keeping the colors and details of the course up. Since my Reks are prescription, I’m able to see the ball even hundreds of yards away. Following the tournament I spent some time at the pool with the family. Loved the feel and comfort of the Reks while basking in the sun relaxing after a tough day at the tournament. I even swim with them on sometimes. All in all today I probably had the Reks’s on for 10 hours! 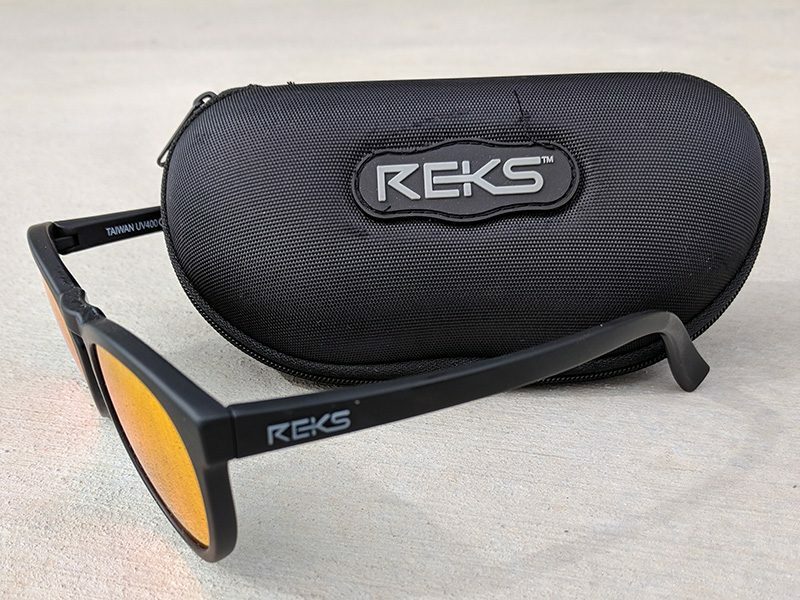 Reks prescription sunglasses are stylish, fun, durable, and extremely affordable compared to other prescription sunglasses. I’m talking 1/3 to 1/2 the normal cost. If you don’t need prescription like I do, Reks models are priced between $30-$60. A very affordable proposition. Father’s Day is coming up quickly. Dad would love some Reks sunglasses. In for review are some sweet, stylish new sunglasses from Reks Optical. They’re not just sunglasses, they’re unbreakable frames with special prescription lenses. I can see the ball, even hundreds of yards away! When you hit the ball all over the place like I do, you really need to be able to see where it went. 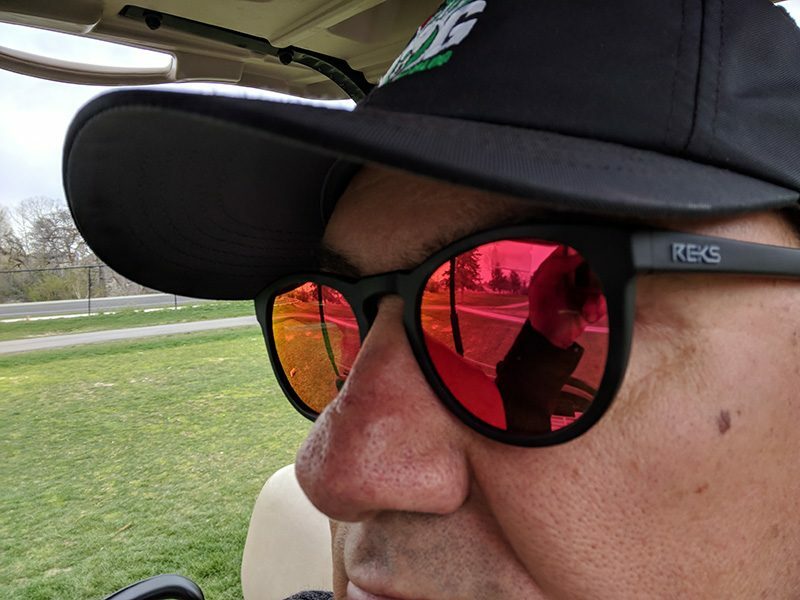 I just ordered these prescription golf sunglasses glasses from the Reks Optical website. Ordering was easy. First I picked out the frame style, then the lens style. My lenses are HD Trivex polarized lens with anti-reflective coating. Rolls off the tongue, doesn’t it? While ordering I attached my RX with the order and Reks took care of the rest. In a couple of weeks my shades arrived. I’ve just started testing them out today. I played a round of golf in bright but overcast conditions. I’ll put these to the test in all lighting conditions and post my full review in a few weeks. Stay tuned. The sun always shines when you’re cool. I’ve had the pleasure of wearing the Bolle’ Ransom golf sunglasses for a while. These glasses are best fitted for a larger head, like mine. One must have a large head to hold as much golf knowledge as I do. My on-the-course portion of this review is a little tough. I wear prescription sunglasses which really help me see the ball far away. I’m nearsighted, so reading greens, standing over the ball, and short range stuff is great. But long range, seeing a ball from 150+ yards was tough. That said, in my good range I loved the clarity of the lenses, the colors, and how I could easily see the contours and slopes of the course. I sport these shades in far more places than just the golf course. On my recent trip to southern California I thoroughly enjoyed sitting on the beach and soaking up the rays in the comfort of the Ransoms. Other situations where sunglasses are great and the Ransoms have shined include outside parties, walks around the neighborhood, hiking, spending time at the park with my little boy. On or off the course the style is fantastic and the comfort is as good as any shades I’ve reviewed. If I had a prescription version of the Bolle’ Ransom they would be my gamer sunglasses on the golf course. They’re certainly my gamers for many other sunny outdoor activities. The last few months I’ve been happily testing out prescription sunglasses from SportRX in San Diego, California. SportRX makes custom prescription sunglasses out of frames from the top brands like Oakley, adidas, Nike, Bolle, Smith and many others. The pair I’m reviewing today is a set of prescription Oakley Flak Jacket XLJ sunglasses, in jet black. First and foremost I need to see on the golf course. I’m near sighted, so working on the computer or looking at subjects a few feet away are no problem. But when the subjets get beyond 5-10 feet, they become more and more blurry. Seeing a ball finish at 180 yards on a par-3, or trying to track down a long drive of 275 yards with my naked eye is not going to work. 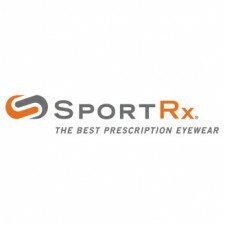 Not only are these Oakleys prescription, but SportRX also made the lenses with a transition feature. 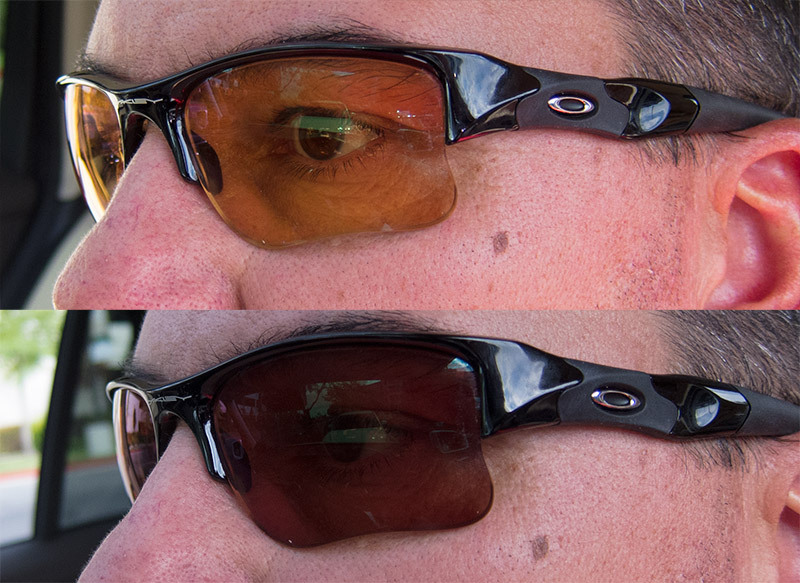 Transitions lenses darken as the sunlight gets brighter. See the photo above. For the last couple of years I’ve been wearing Ray Ban glasses with transitions lenses. They’re not sports glasses, but at least they acted as sunglasses and allowed me to clearly see long distances. The problem with them was the lack of coverage and lack of a snug fit. I could see the edges and sometimes in a big swing the glasses could slip. By wearing sporty Oakley sunglasses, I get a full wrap in my field of vision with no edges. The glasses stay snug on my head, unlike the Ray Bans. Sporty sunglasses also look more appropriate on the course. I look like a golfer now, not a librarian. The clarity and definition I see on the golf course with the prescription and the way the glasses process the light is fantastic. I can see all the undulations and details on the course, helping me to play better and make more putts. Because of the fit and stability of the glasses, I often forget I’m wearing them. 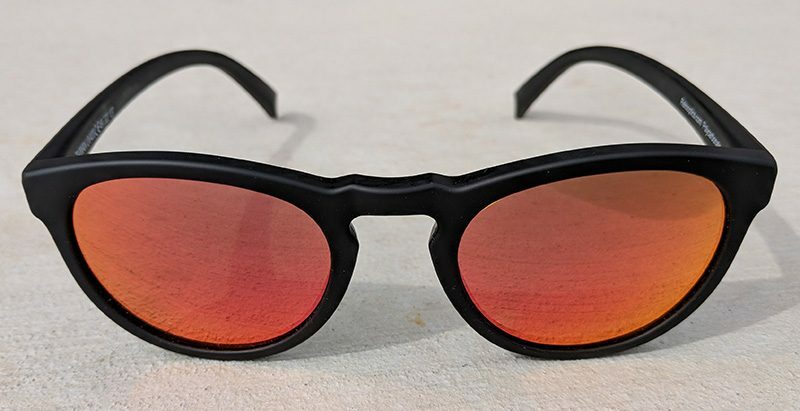 A custom transitions prescription sunglasses setup like this is not cheap. By themselves the Oakleys in this review run about $150. Add the cost of an eye exam and custom transitions prescription lenses and the bill can be up over $500. For hell’s sake don’t leave these in the golf cart! Optical insurance may cover some costs like the eye exam and part of the prescription. The cost is offset by the benefit. Full ultraviolet protection, better performance, better vision, safer. There are a ton of reasons to go with prescription sports sunglasses. I enjoyed working with SportRX. They know their trade well and produce a fantastic product.